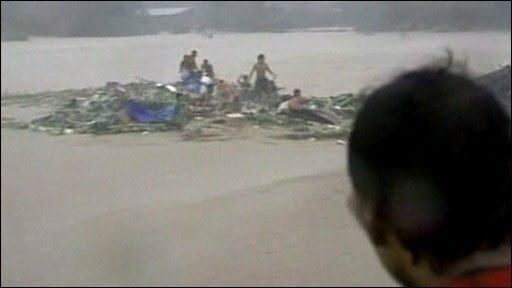 At least 73 people have been killed and thousands more evacuated due to floods caused by heavy rain in the Philippines. Philippines President Gloria Arroyo has appealed for donations of clothes, blankets, food and water. This video begins with footage of people kept afloat by debris being swept along a river in Marikina.